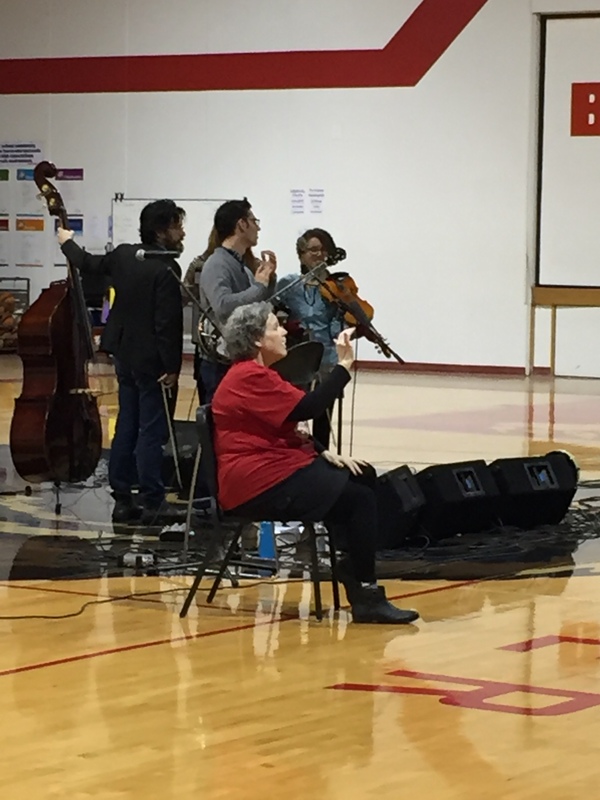 At Brewster Elementary School, music assemblies are always bilingual, thanks to the skills of sign language interpreter Gail Brand. So whether students are deaf or hard of hearing, they can still experience the performances Methow Arts brings into the six schools in the Okanogan County Arts Education Partnership. Brand began learning American Sign Language (ASL) in the 1970s (“just after the dinosaurs disappeared,” she says). She learned from the very best of sources—a deaf man and his wife, who were fluent in ASL. Brand took classes at Whatcom Community College, got to know the deaf community, learned about deaf history, and ended up with a job in a deaf program in public education in Bellingham. In addition to her work with preschoolers through high schoolers, Brand also interpreted at Western Washington University, Whatcom Community College, and Skagit College. Brand was born in Omak and raised in Malott, so although she only moved to Brewster from the west side three years ago, it is a bit of a homecoming for her. 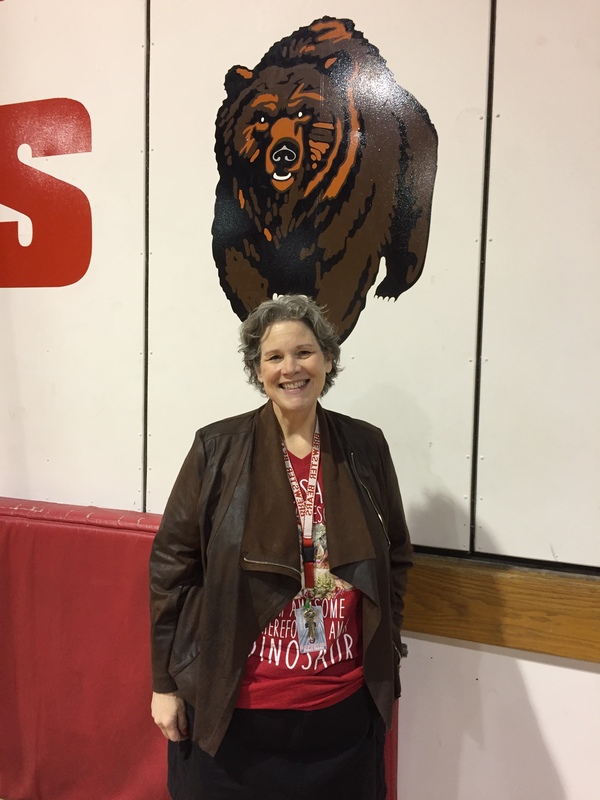 “When I thought about living in Brewster and working with students there, I felt a little ‘click’ in my soul,” she says. Brand says that she has “the utmost respect” for ASL and the deaf community. “Plus, signing is so much fun!” she says. She refers to signing music as “a gift,” and notes that not everyone is comfortable doing it. But for the audiences—both hearing and deaf—who get to experience Brand’s music interpretation, it is truly an offering given by Brands, straight from the hands, straight from the heart. Methow Arts’ performance series in the Brewster School District is sponsored by Webster Furniture, the Community Foundation of North Central Washington, Icicle Fund, and ArtsWA.